The CAPS, which originated and was published by Shawn Henry and Brenda Smith Myles, is a tool to help teachers and educational teams to plan and implement a student’s program across the school. This includes planning for the implementation of the IEP and the curriculum relevant to the student. It takes the team through the process of planning out the goals/objectives to be targeted in each activity of the day, the modifications and accommodations that should be provided to support the student in each activity, the sensory supports to help the student stay engaged, and the communication and social supports that the student needs to be successful. 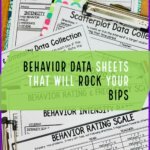 In addition, it identifies the type of data that should be collected for each area and the reinforcers that have been chosen for use for success. 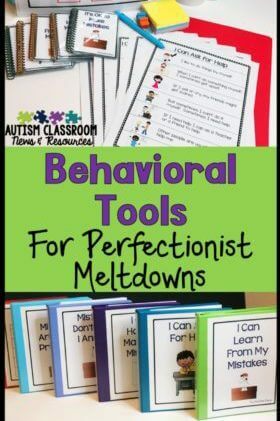 As with many tools, while this system was developed for use with individuals on the autism spectrum, it can be an essential tool for any student regardless of the types of supports and needs they have. There are various forms of this system that focus on targeting specific skills for each activity and identifying the communication, sensory, and reinforcement supports that will be needed for each situation. There is a book that explains the process, The Comprehensive Autism Planning Comprehensive Autism Planning System for Individuals W/ Autism Spectrum Disorders Related Disabilities . Disclaimer: This post includes affiliate links that pays me a small amount for recommending products but the price is the same for you. All of the recommended products are ones use myself and product choice is not affected by this agreement. There are a number of formats for the CAPS that can be used based on the needs of individual students, age level, and the type of program they are working in. 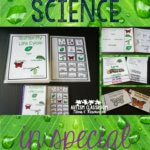 I find the original CAPS to work best for students who are primarily included in the general education classroom or who participate in a variety of situations for which the schedule is set and the teacher must integrate learning opportunities around the set activities. For students who are primarily self-contained or whose program I am trying to plan, I find a modified version based on a teaching plan format that I used to use to plan programs to work best. Whereas with the original CAPS, you take the schedule and embed the goals and objectives into the set schedule, in the CAPS-Teaching Plan (CAPS-TP), you start with the goals/objectives and you determine what types of activities would best be suited to address those skills. 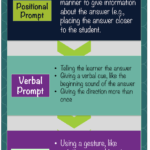 This then gives the teacher information about how to set up a schedule for the student or the classroom based on the individual needs outlined in the plan. For instance, if a student has primarily goals that require explicit instruction in a small setting with a small teacher-student ratio, then the student’s schedule would include primarily 1-1 or small group instruction focusing on these areas. This modified version of the system can be helpful for developing classroom schedules and can be found at http://bit.ly/gjqd3Y. There are also Vocational and Transition formats that area available for students making the transition to work. The system is helpful in sharing information across the education team, in helping families to see how programs are being implemented, and are greatly helpful in setting up classroom environments that meet the individual needs of the students. for Autism Training website videos and links to free training. Thank you so much! Aren’t they amazing! Thanks for commenting!